T.E. 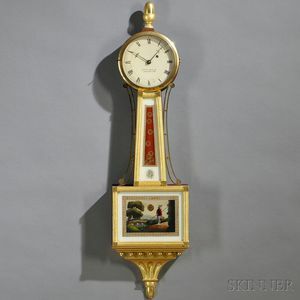 Burleigh Jr. Mahogany Patent Timepiece or "Banjo" Clock, Winchester, Massachusetts, c. 1975, with a 7 1/2-in. dia. 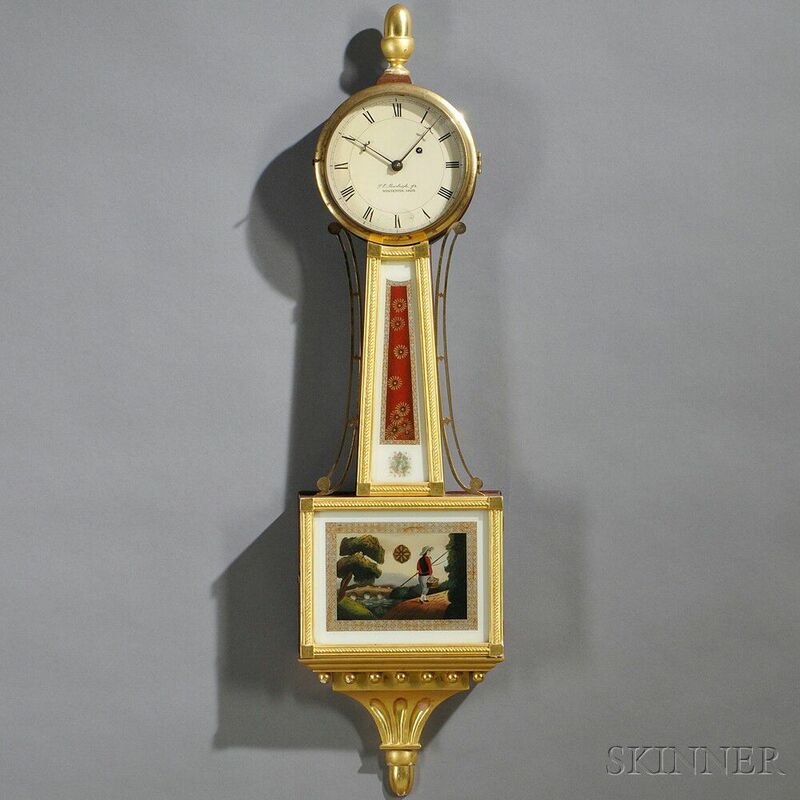 Roman numeral painted iron dial, gilt rope-turned moldings enclosing the reverse-paintings on glass, signed Linda Abrams 76, the lower tablet depicting a figure strolling near a river, gilt lower pedestal, eight-day time-only movement, ht. 41 in.